2016 is off to a crazy start. It began with a quick set in Sebastopol CA just after the holidays. Immediately after that it was a quick stop home, then off to Los Angeles for the NAMM show. My favorite mass event to attend. Its like a Guitar Center on Steroids. 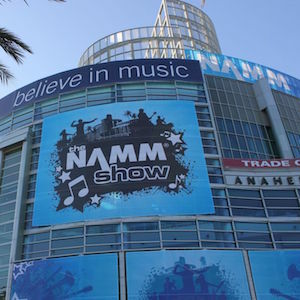 For the 2016 NAMM I was only able to attend for a single day – the first day. In hindsight, it was a good thing. I made sure to zip thru the show and make face time with all my endorsements. I did spot a couple of new things that caught my eye. One is the StageClix wireless system. The first one to operate on the 5.8GHz band. Plus it rechargeable with 100 meter range. Oh and it’s all digital. The plugin that caught my eye was the E2 DeEsser. It appears to be a hyper intelligent DeEsser that can tell the EQ curve when to turn on and when to be off so that it is not effecting the rest of the track when it’s not needed. I’m also going to be picking up the Trim Two by Radial. I’ll be sticking it inline after my Apollo Twin for my live performances going forward in 2016. In case you missed it, I’ve gone digital with my guitar sounds (acoustic and electric). But as I’ve already learned, my computer is often way too loud for PA output. Go figure! Thus the need for a highly transparent but durable direct box! One other item I picked up was the Oasis Humidifier. Previously I’ve been using two humidifiers in my guitar case but they couldn’t keep up with the needs of the guitar. In steps the Oasis Humidifier and for 2016 my guitar will be keeping properly hydrated. Thanks guys! I will also be adding the Telefunken M-80 to my vocal lineup in 2016. I need a kickin mic to do some of my looping parts and this mic will fit the bill nicely. 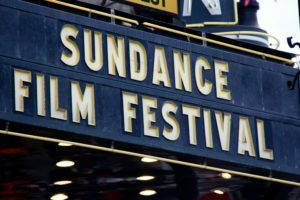 Right after NAMM closed on Thursday I was back on the road and headed to Park City for the 2016 Sundance Film Festival. It started with a very cool dinner put on by White Bear PR and SESAC. I got to hang with some amazing composers like John Swihart and Carla Patullo. We enjoyed some amazing food at Cafe Terigo and discussed all kinds of things from music to life. Over the course of Sundance I did multiple performances at venues like The Spur and Flanagans. Audience reaction was favorable. To the point that I’ve been asked to score a film that is in the final stages of funding. I’ve also been asked to do some co-writing with some peers that I’d really like to write with. That’s an awesome thing! One last perk is that a manager has decided to start courting me about managing me. I’m in the midst of working out the next video for the new single Thump Thump Thump coming soon. Thanks to Sundance I’m seeing about the particulars of making it a VR video as well. If you haven’t seen Nightwatch on A&E yet, what are you waiting for?